Digital Download - Heidi's Hexis Quilt Pattern from Man Sewing - Rob Appell - Missouri Star Quilt Co. 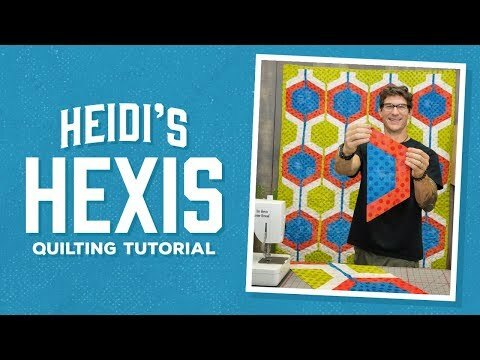 If hexis make you happy, grab some fabric and find out how you can spread the happiness with Heidi's Hexi Quilt! To make this project even easier, try our 5" X 15" MSQC Ruler and our Large Half Hexagon Template for 10" Squares.